Spring has sprung in River Heights! Nancy's class is hatching chickens to celebrate. Some of Nancy's classmates are excited, especially Tommy Maron. Tommy has even named all the eggs! But other classmates are less thrilled about the arrival of the little birds. Catherine Spangler is peeved because the chicks are due to arrive on HER birthday -- the nerve! But when the chicks vanish from the classroom, everyone is upset. Who would steal helpless chick eggs? Nancy knows she has a real egg of a mystery to crack this time! 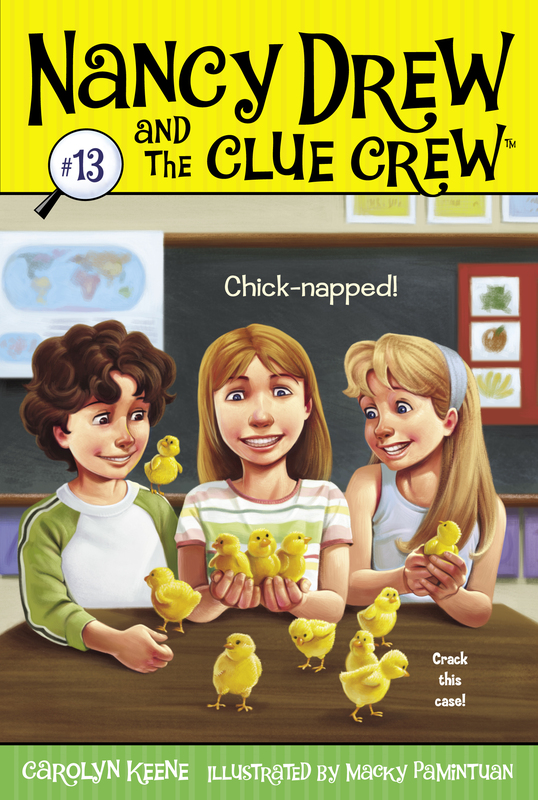 Book Cover Image (jpg): Chick-napped!